First up it’s your dad stalking you on Facebook, and then before you know it, your dad’s favourite band is previewing their new album via the social networking service iLike. Fans will be able to stream tunes from the album before the official release date of 1 April, providing they have the iLike app installed in their Facebook, MySpace or Bebo page. You will also be able to view a video of the band chatting about the new album. 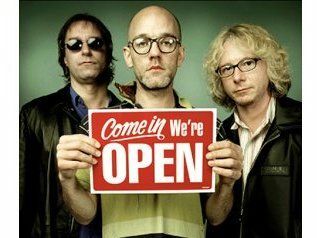 Speaking to Billboard, REM's Michael Stipe said: "It was one of those ideas that was presented to us and it seemed like a good one so we ran for it". He added that music "has certainly changed in the last five or ten years. I think you can either go with it or sit back and watch it happen, and I would rather be out on the field than in the bleachers." In other old-media-running-to-catch-up-with-Web 2.0 news, a youth-focused version of Channel 5 news is to be distributed via MySpace. A MySpace spokeswoman told Marketing News that the deal would enable users to "directly interact" with Five News, becoming more involved in shaping the news agenda and feeding back into ongoing stories. Users will also be able to share clips with their mates online. Next week, Bob Dylan on the phenomenon that is Twitter.